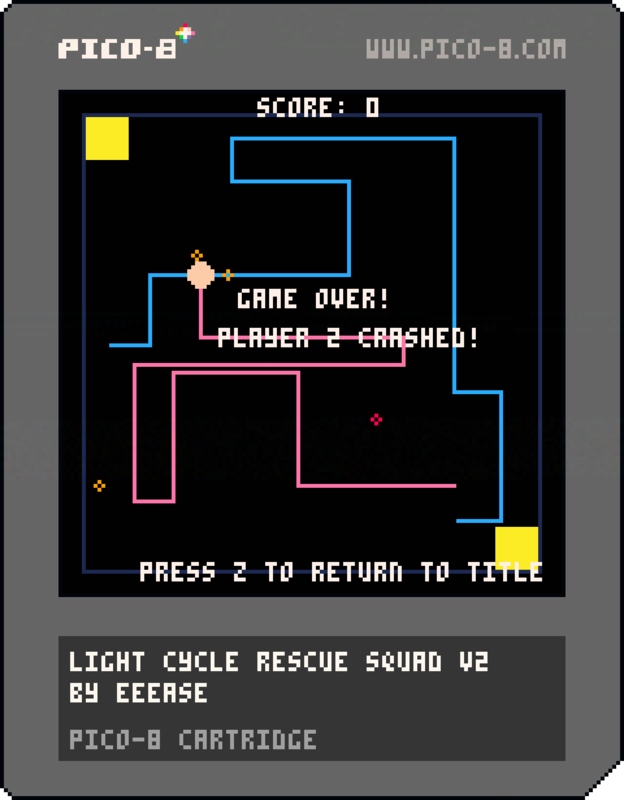 LCRS is a cooperative Snake/Light Cycle game. Avoid hostiles (red) and collect refugees (yellow). Drop them off at safe zones to score!